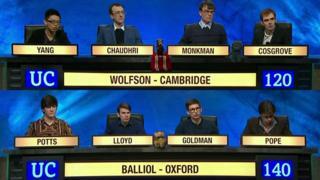 University Challenge is to focus on posing “gender neutral” questions, says the BBC Two show’s executive producer. But what is a gender neutral question? “It is not about a feminist drive,” says Lesley-Anne Brewis – a professional quizmaster and events director of QuizQuizQuiz – but simply a way of avoiding giving participants clues by using the terms “he” or “she”. Ms Brewis argues that the term gender neutral is “unhelpful” and that what University Challenge is actually trying to achieve in its questions is “gender balance” – and this, she says, is to be welcomed. “They are trying very hard to strike a better balance between questions that refer to men and questions that refer to women,” she says. She acknowledges this is hard because men have traditionally had the freedom to achieve more, and their achievements are more well known. Alan Connor – question editor on Richard Osman’s House of Games – agrees. “When you write a question you turn to the reference books and they tend to privilege the stuff that men have done,” he says. He adds that he now makes a conscious effort to write more questions about women. Ms Brewis says such efforts to increase the number of women-based questions could have a important ramifications. If it is known that University Challenge and other TV shows are likely to ask more questions about women, potential participants are more likely to research and revise female achievements, she says. Furthermore, she suggests that questions asked by one TV quiz show tend to reappear in other programmes and in that way facts about previously unknown women enter “the canon of acceptable quiz material”. “It is a self-perpetuating prophecy,” Ms Brewis says, adding: “Small efforts can have big impacts”. But would more questions about Mary Seacole or Nellie Bly, actually encourage more women to go on quiz shows? Perhaps men are simply more interested in learning facts than women? Ms Brewis says a common argument is that women are just less competitive and therefore less keen to quiz. “There is some truth in that, but it could be more down to complicated societal reasons, not necessarily about female biology,” she says. “Girls are often brought up not to be ‘show-offs’ or ‘bossy boots’. “We won’t really know until we give girls the confidence and the agency to enjoy facts and revel in their own knowledge. As a professional quizmaster, Ms Brewis has her own anecdotes of sexist treatment. 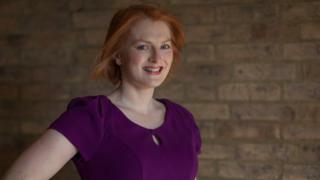 She says some companies have objected to hiring a female quizmaster on the grounds that “women just aren’t authoritative” and “my boss would be horrified at taking orders from a woman”. “I usually get them to change their minds,” she adds.